There are lots of ways to support your health: you could make sure you have enough time for a good night’s rest, plan a nutritious meal, or make sure you’re taking all your supporting supplements (like colloidal silver or Vita One). Some support is external (like taking supplements), some is just good self care (like sleeping enough) and some is just paying attention and planning ahead. Here’s one way to support yourself that ticks all those boxes at once: sit down with a cup of Jiaogulan tea. Jiaogulan tea is an organic herbal tea that comes from Southeast Asia. There, it’s known for supporting longevity, heart health, gastrointestinal health, and more—making Jiaogulan tea another source of external support for your health and well-being. Sitting down with a cup of tea can also be a way to relax and let go of some stress. Because Jiaogulan tea is caffeine free, it’s the perfect afternoon or evening break (it won’t disrupt your sleep) so you can unwind for a minute and reset for the rest of the day. Relieving stress is important for overall health and well-being. It’s effect isn’t just on mental health, but it can wear down and harm physical health as well. Figuring out a way to let it out each day can be tricky—but a cup of tea can be just the ticket. And once it’s a routine, just the association of that cup of tea will help cue your mind and body to release that stress! And it’s preplanned, helping to create an opportunity to stop and take stop of your health (or at least one aspect of it). At least once each day you’ll have a moment to gauge how you’re feeling, and if you need to do something different. 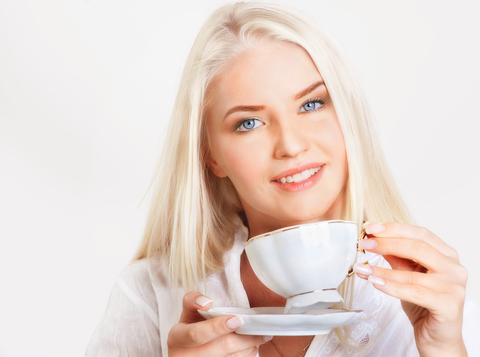 Tea is a wonderful ritual, and a wonderful tool for supporting your health. Have a cup of Jiaogulan tea each day, and get the herbal support as well as the mental health break.